We all are enthused and motivated by the superheroes style. Hey, all fashionable young ladies! Get a chance to fortify your looks like Wonder Woman who is the most powerful fictional character of DC comics. 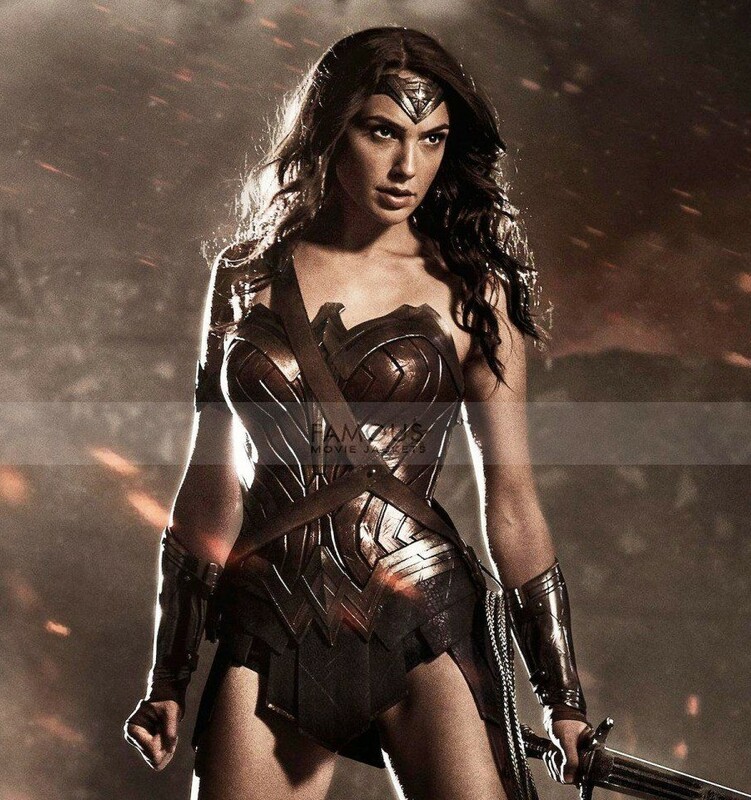 So, this Wonder Woman Gal Gadot Leather Costume is stirred from the movie Batman V Superman. The brilliant actress with a killer smile and beautiful looks Linda Carter portrayed the role of Gal Gadot. This striking costume is recreated from premium leather quality offering the accurate sensation of this Superhero. The appealing color combination will indeed provide an attention-grabbing impact to the wearer. The maroon top is stitched finely with the blue top. 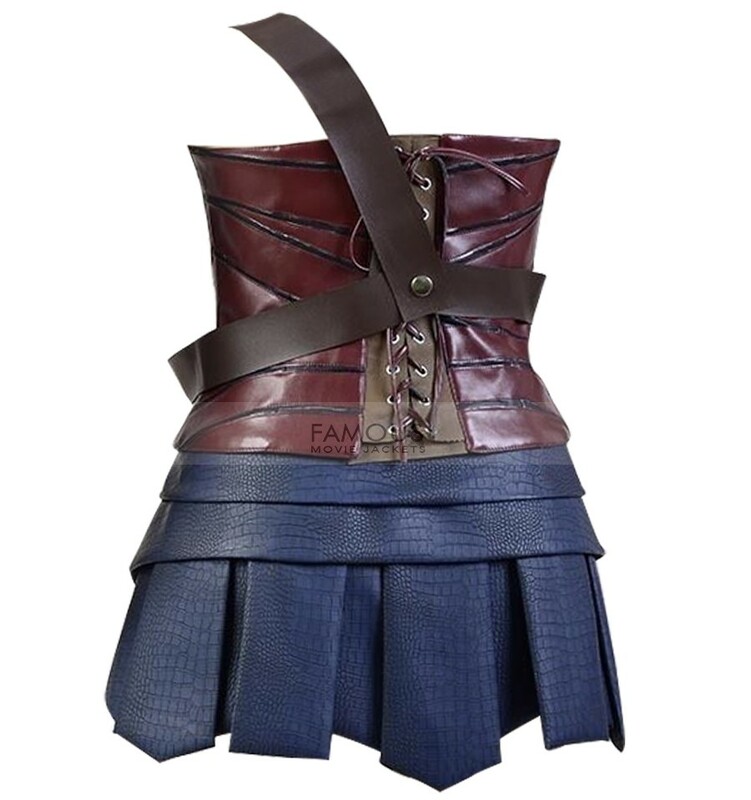 Furthermore, costume provides exact look like Wonder Woman a leather strap is also given with this costume. The costume is in the same way accessible in all sizes now at our online hub. not only in Batman v Superman and in her own film, but also in Justice League. “Wonder Woman is arguably one of the most powerful female characters of all time and a fan favorite in the DC Universe. Not only is Gal an amazing actress, but she also has that magical quality that makes her perfect for the role. We look forward to audiences discovering Gal in the first feature film incarnation of this beloved character”, said director Zack Snyder. 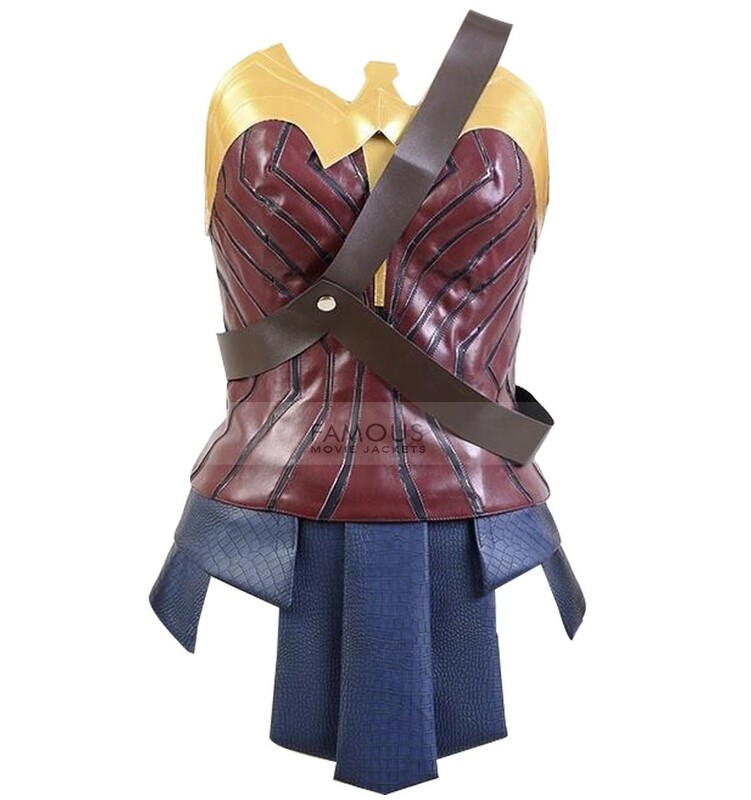 I feel really happy to buy this Wonder Woman Gal Gadot Leather Costume. Thank You For Best Costume To Gal Gadot Lover.. I like the new Gal Gadot Wonder Woman; she looks more like a warrior princess. Highly Recommended It.. 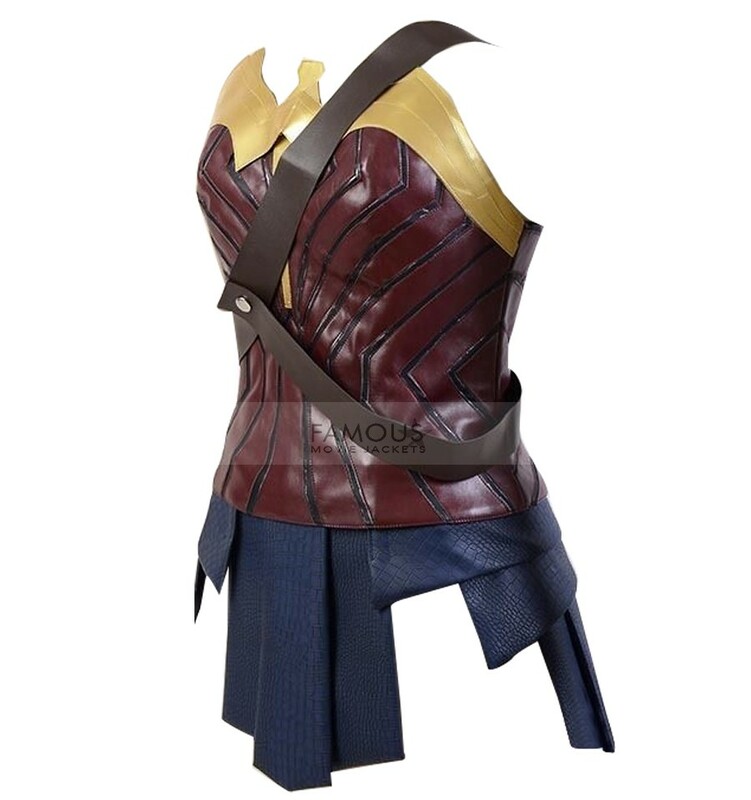 I got this Wonder Woman Gal Gadot Costume from this store and trust me this is so slick and very much sewed. I thought to make a request again in light of the fact that I cherish the quality, front part as well as affection the inward quality. Much obliged for the trustee administrations too. I ordered my Wonder Woman jacket on a Monday and received it by that Friday. I bought for myself for Christmas so I haven’t gotten to really wear it yet, but I cant wait to put it on next week.